I have been searching for a restaurant that serves a decent vegan/vegetarian lunch on the road. Granted my travels take me along I-15 through the Mojave Desert where towns and dining choices are few and far between. I use Yelp! as my guide. Finally I found a reasonable choice on the rather seedy side of Barstow, CA called Mr. Kabob. 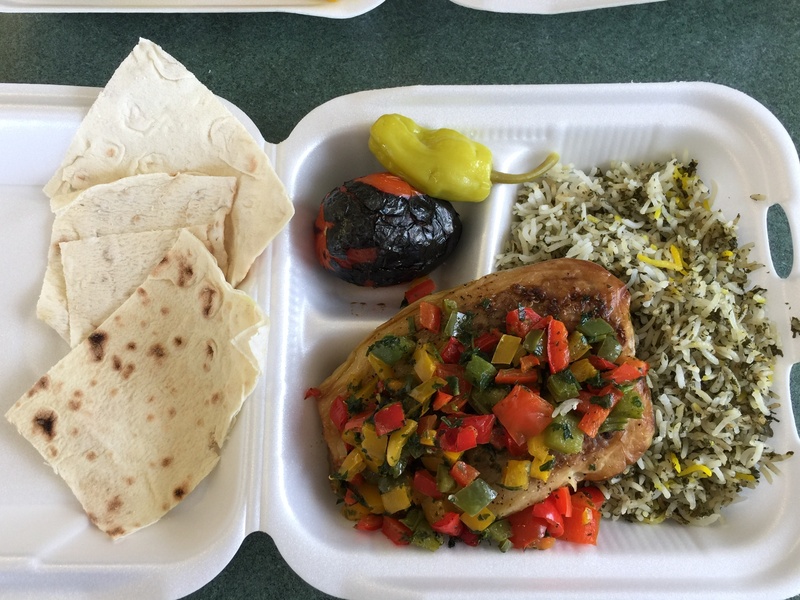 Mr. Kabob serves Persian style Mediterranean food. There were choices here for John such as chicken and beef kabobs but also for me. I ordered green rice, eggplant, and a roasted tomato with pita. It was so good! The lady who works behind the counter is lovely and really wants you to enjoy their food. There are only two tables and it appears that most of their food is take-out. 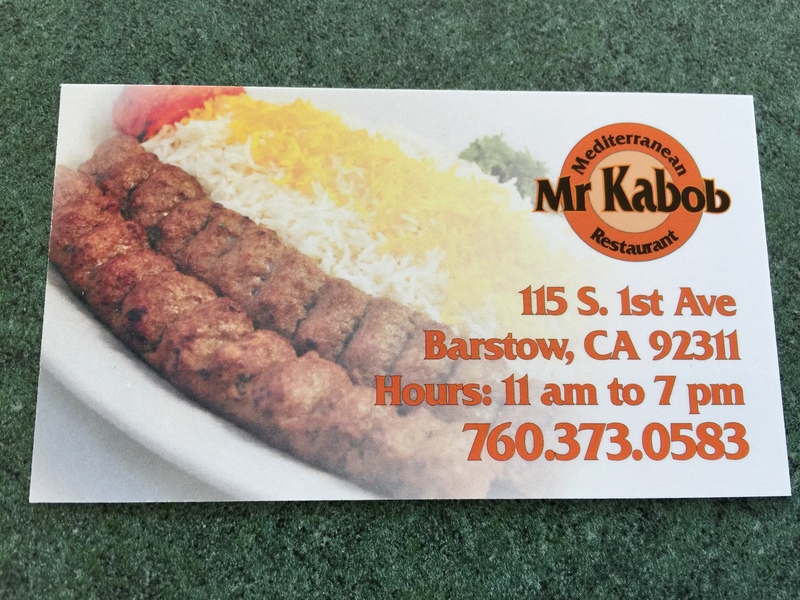 If you are ever driving through Barstow at lunchtime, give Mr Kabob a try! My lunch of green rice, eggplant, and roasted tomato. For dinner we ate at the Macaroni Grill in Bakersfield, CA. I had eggplant again with a side of pasta but this eggplant was breaded and spent too long in the fryer so was kind of a disappointment. Their tomato sauce is really good though. This entry was posted in Dining out, Grains, Pasta, rice, Vegan, Vegetables, Vegetarian and tagged Eggplant, rice, tomato. Bookmark the permalink.